I consider myself a morning person. For starters, I love getting up before everyone else and savouring my first cup of coffee as the sun comes up. I feel I get more out of my day and am less rushed. When I sleep in, I always feel stressed because time is precious and there’s not enough hours in the day to get everything accomplished. I also like to start out by having a nutritious breakfast. I prefer something simple, but filling that won’t make too much of a mess in the kitchen. I save the more time consuming meals for supper time. I’ve recently discovered Morning Rounds by Ozery’s Pita Break! They’ve only recently reintroduced these breakfast pitas with a new look, but this was my first time trying them. They are toastable breakfast pitas made with natural ingredients. In fact, there’s nothing artificial about them! I checked for myself on the ingredient listing on the package and can say that I knew what all the ingredients were and could pronounce them all. That’s a sign of nothing artificial! There’s also no trans or saturated fats. They are absolutely delicious for breakfast. I’ve been craving them every day since I first tried them a couple weeks ago. 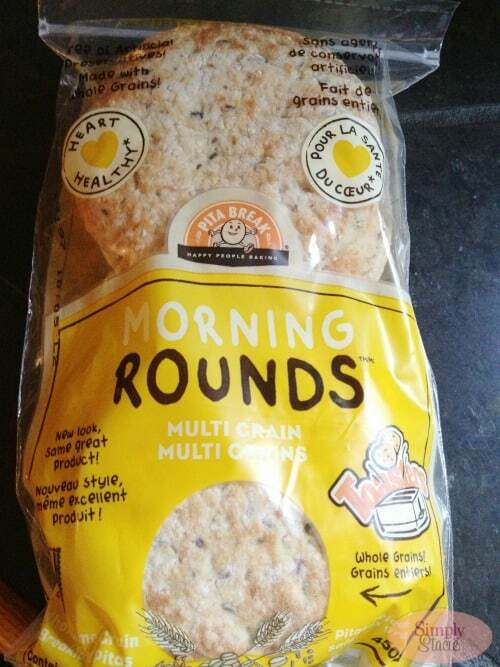 Morning Rounds come in four different varieties: Muesli, Apple Cinnamon, Cranberry Orange and Multi Grain. You can see the real fruit pieces in the Apple Cinnamon and Cranberry Orange. 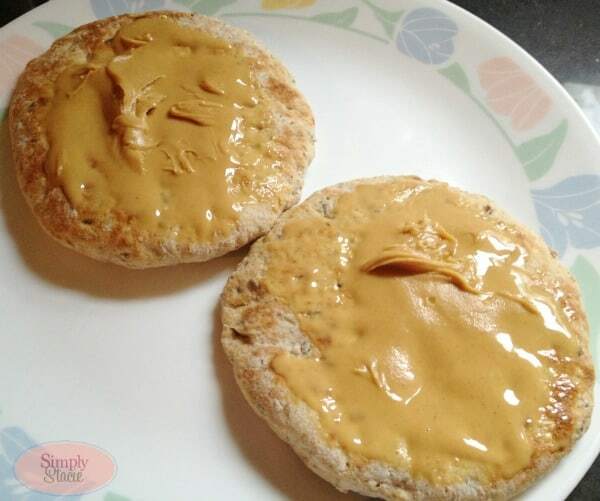 They are perfect to pop in the toaster and use your favourite spread on top. I’ve tried them with peanut butter, homemade strawberry jam, and cream cheese. Plus they are great to use instead of bread for a sandwich. We like the Multi Grain Morning rounds with tuna salad. If I had to pick a favourite combination, I think I would go with the Apple Cinnamon Morning Rounds topped with plain cream cheese. They are hot and fresh from the toaster and the cream cheese melts on top. It’s slightly sweet, spicy and creamy good! I love the zip lock packaging. You can easily take out how many Morning Rounds you want and then securely seal the package shut. It helps to preserve the freshness and also makes it easier to freeze. There’s no annoying little plastic tag to seal the bag and I find that always gets lost anyways! Each package comes with six rounds. They are also heart healthy and a source of iron and fiber. Each round is about 200 calories. I also enjoy eating them plain too. They have lots of flavour on their own. Morning Rounds are the perfect way to start your day with a healthy and wholesome breakfast that is quick to make! Visit Pita Break for recipe ideas and where to buy. I need to get a store in my area to start carrying them so I can buy more. 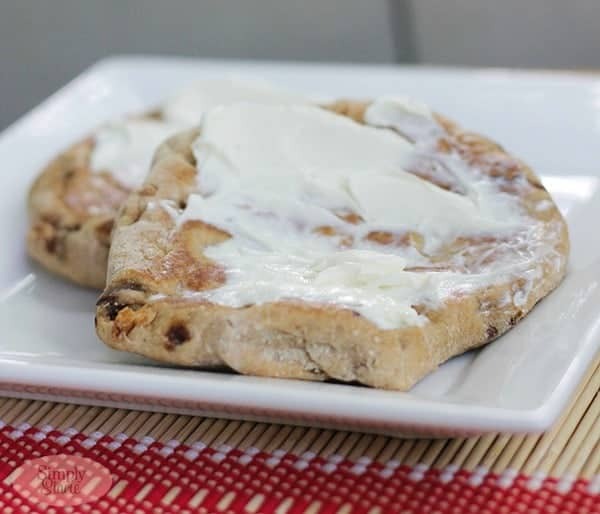 Connect with Ozery’s Pita Break on Twitter, YouTube, Pinterest and Facebook. These sound and look delicious. These would be so good to have for breakfast here. I wouldn’t mind having them for an evening snack too. I would love to try the Apple Cinnamon. I also noticed that they do sell them at Whole Foods here. Yippie! I love these so much – not only for breakfast but, depending upon the flavor they are great for sandwiches and burgers. Oh my god they look so good! I would probably eat them with cream cheese! I love that there are no artificial ingredients, its hard to find anything nowadays without them. Oh good grief. Now I’m hungry! These look so delicious! 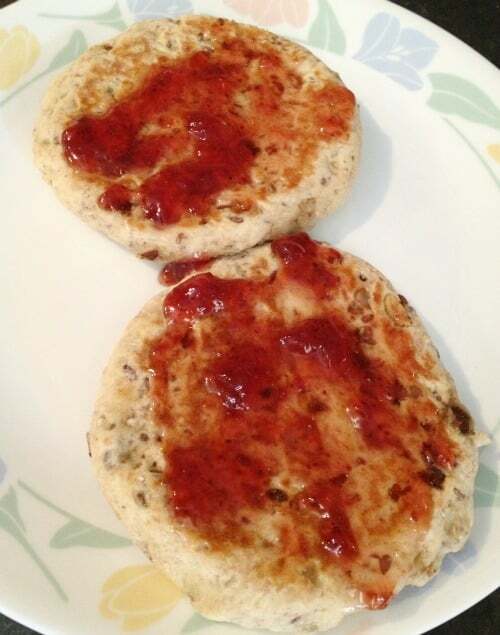 I love the Pita bread with the jam all over it. I too like to get up early in the morning and make fresh coffee and have toast. I want to try this awesome pita bread! I love ant variety of pita bread. I first tried it when the restaurant Jack-in-the-Box used it as the main shell for these pizza pockets they’d had on the menu, so good!